According to the calendar Summer will start in about 2 weeks. For many of you, Memorial Day is the start of summer, which turned out to be a beautiful weekend this year. 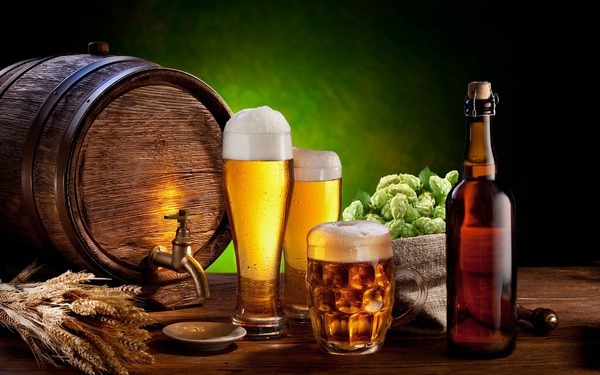 The way that I can tell that summer is really right around the corner is the volume of telephone calls for reservations and online bookings that come in. I’m happy to say that based upon those indicators, Summer is surely upon us. Though the reservations have been rolling in at a record pace this year, we still have a nice inventory of rooms for you to choose from. Don’t delay too long, though, as it gets more limited every day. This is the room that more of you ask about than any other room. I suppose the adorable little cottage sitting all by itself in the rear part of the Prince Albert Hall yard is nearly irresistible. In fact, I took 2 couples for a tour of Regent’s Park just this morning. 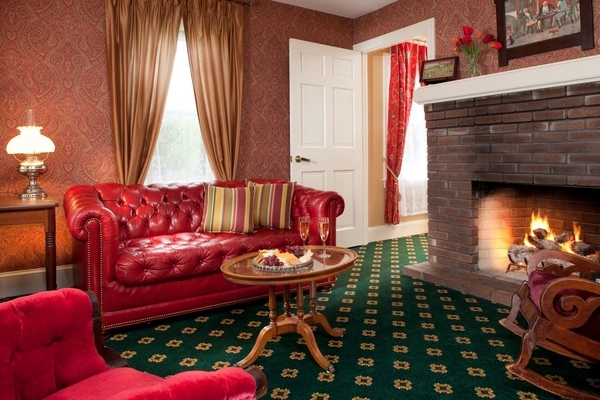 They both loved the cozy sitting room with its rich Chesterfield sofa near the gas-log fireplace, the charming bedroom with queen sized bed, and the spacious bathroom, and the dedicated parking space. We completely redecorated Regent’s Park a few years ago, giving it a rich, welcoming, and cozy feel. The large bathroom was also updated at that time and features a luxurious 2-head/2-person “roll-in” shower, which is great for everybody, especially people with mobility challenges. Last year we completely rebuilt the front porch railings and posts, installing the same intricate Gingerbread designs found on Prince Albert Hall. The result was to make the Regent’s Park even more special. Regent’s Park is one of our most popular rooms; one of those rooms that guests book a year in advance, year after year. 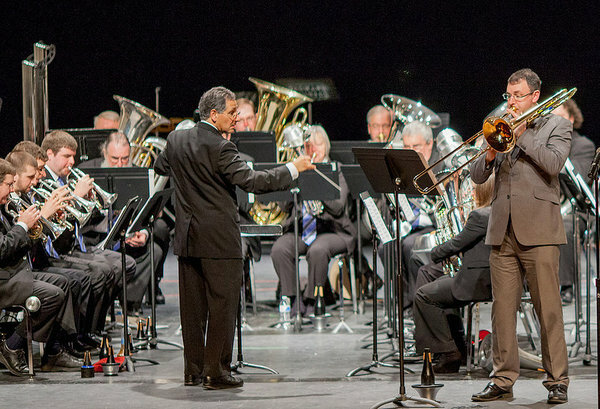 This year’s festival was kicked off on Sunday, May 29 with a FREE concert in Cape May’s Convention Hall featuring the award-winning, national champion, Atlantic Brass Band (pictured above) performing a rousing program of American music. What a perfect way to celebrate the Memorial Day weekend! You might have noticed that most of these concerts fall on Sundays, Tuesdays & Thursdays. That means that you can take advantage of our great mid-week discounts when you reserve a room at The Queen Victoria for some of these concerts. As always, we’ll be happy to present you with tickets for free admission to any concert you might like to attend if your reserve a room for at least 2 nights (not valid for Jazz Brunch or Bach’s Lunches). Last month I shared our new bathroom in Westminster with you, stating that it was the last major renovation project of the winter. In a sense that was true, because it was completed by the official end of winter. In another sense, however, it turned out not to be true. About a month ago we discovered that we had a major plumbing issue with the whirlpool tub in Hampton Court that resulted in an emergency bathroom renovation. The fact that we were well into Spring and Hampton Court was already heavily booked gave us the motivation to complete the job in less than 2 weeks. The rapid pace didn’t impact the outcome of the job, though, as the new bathroom is absolutely beautiful. Though we couldn’t order another custom whirlpool tub in the necessary time frame, we were able to obtain a very nice cast iron bathtub, which we integrated into a very stylish custom tile job. 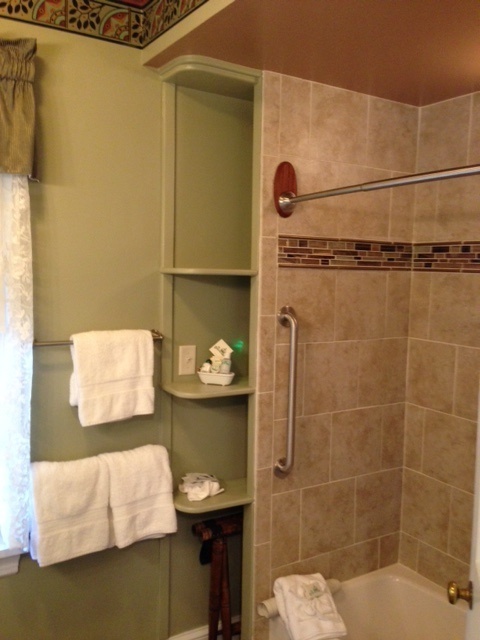 The bathroom also got a new sink as well as upgraded hardware throughout, all matching the new shower faucet hardware. The end result is a more spacious, very attractive, brand new bathroom for the already stunning Hampton Court suite. I absolutely love this photo. Some people are all wrapped up in sunsets, but I think that a beautiful sunrise can be every bit as stunning. This was taken from the promenade just before sunrise on a morning following a rainy evening. I don’t mind rain at night, especially if I’m rewarded with something this dramatic. Of course, you have to get up pretty early to catch a sunrise, especially in the summer. I suggest you make the effort. The folks at MAC (the Mid Atlantic Center for the Arts and Humanities … you can see why they need an acronym) are always trying to come up with exciting new events in Cape May. This June they are launching the first of what is sure to become a staple of early Summer Cape May entertainment. 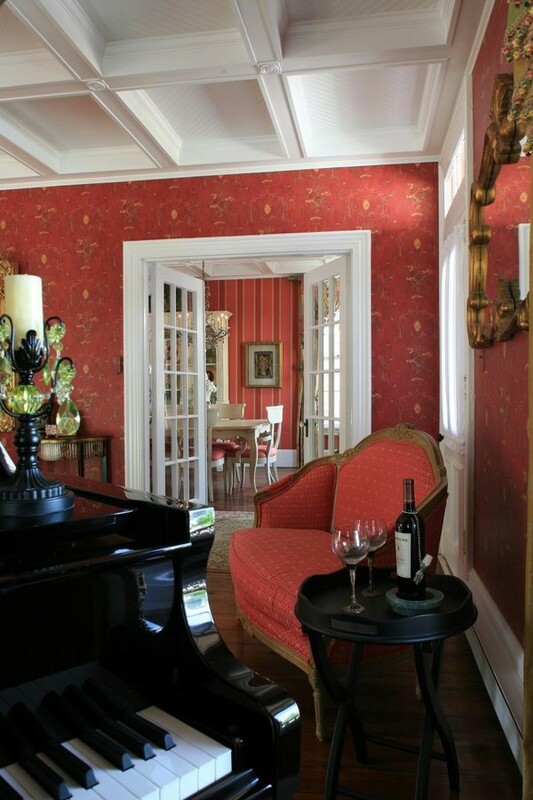 That is why I’m thrilled to announce that despite the lack of a season long Show House for 2016, MAC has come up with a wonderful new alternative: a one day tour of several beautiful Cape May homes recently renovated by professional designers. On Saturday, September 24, six to eight private homes will be open for a self-guided tour of their warm and intriguing features and exceptional indoor and outdoor living spaces which have been professionally designed by both local and out-of-town interior designers. In my youth, longer ago than I care to admit, I would smother myself in baby oil in an effort to accelerate my tan. Remember those days? That was obviously a bad idea. These days we all take much better care of ourselves. I can’t tell you how many times guests have asked us where they can find sunscreen. Maybe you have been one of them. We always thought it would be a great thing to sell in our gift shop, but we were thinking of branding it with our logo like we do everything else. Ultimately, we figured that our guests would be more comfortable with an established, recognized brand. We introduced Hawaiian Tropic sunscreen in our gift shop last summer, and it was an instant hit. We’ve just received our first shipment for the summer of 2016, and we wanted to tell you about it. If you don’t bring your own sunscreen for your summer visit to The Queen Victoria, we’ve got you covered. Our gift shop is a lot more convenient than CVS, and the price is about the same. I’m willing to bet that our most popular amenity at The Queen Victoria is our fleet of bicycles. I’m guessing at least half of you take a ride every time you stay at The Queen Victoria. This article is for the rest of you. If you haven’t explored Cape May and the surrounding environs on a bicycle, then you’ve missed a lot of Cape May. There is something about riding a bicycle through our beautiful tree lined streets, feeling the breeze blow through your hair that is truly special. You also see things from a different point of view from the seat of a bicycle. Beyond those specific destinations, just cruising up and down the streets in our historic town is an experience not to be missed. Personally, I use the bicycles for most of my errands around town in the warmer months. I find it incredible, but as far as I can tell, I’ve never featured 410 Bank Street as our Restaurant Pick of the Month. 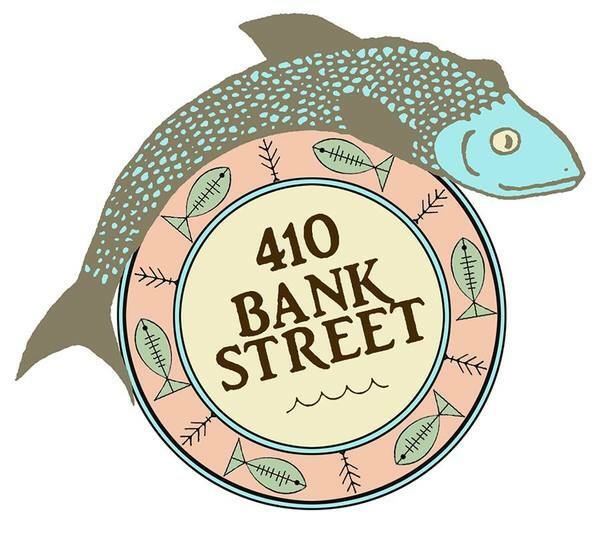 It is incredible because 410 Bank Street has always been one of our favorite restaurants. In fact, it has been a tradition of ours for many years for Anna Marie to take me there for my birthday dinner. I always look forward to that dinner, and every other visit to 410 Bank Street throughout the year. So what’s good? Everything. My own personal favorite for the last couple of years has been the Gumbo. Yes, gumbo. 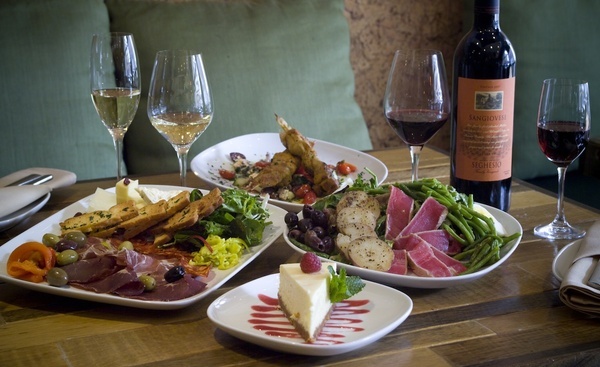 You guessed it, 410 Bank Street is a New Orleans style French Creole restaurant. Think explosions of flavor! For this year’s birthday dinner I opted for the Soft Shell Crabs special, which are hard for me to resist at any restaurant. They were magnificent. Despite the style of the restaurant, 410 Bank Street also offers a nice variety of non New Orleans type dishes, including Anna Marie’s favorite Cape May Mahi Mahi in a macadamia nut crust with vanilla island rum sauce and Polynesian rice. I can’t remember the last time we didn’t order the Blackened Sea Scallops appetizer. They are terrific! 410 Bank Street is within easy walking distance of The Queen Victoria. Its name is also its address, which makes it pretty easy to find. Those of you who are really Cape May savvy will be aware that Decatur Street (which is visible from the inn) turns into Bank Street as it crosses LaFayette, the main road into town. 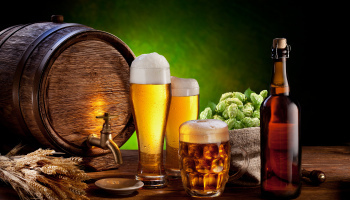 Like most of our favorite restaurants in Cape May, 410 Bank Street is a BYOB establishment.